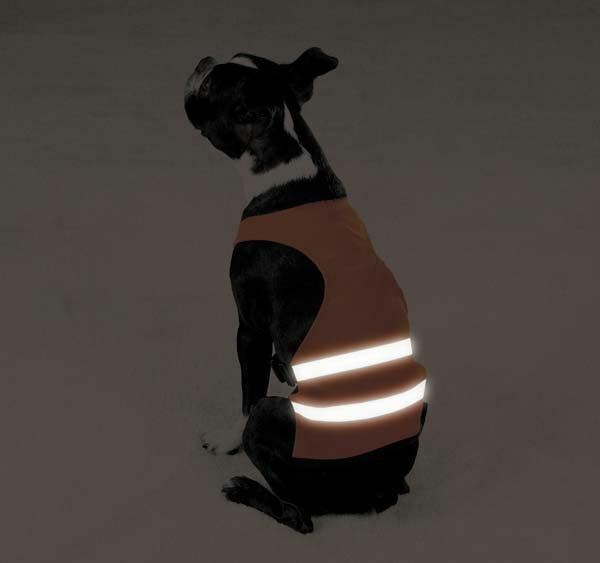 The bright and reflective orange Hunting Dog Safety Vest by Guardian Gear helps keep pets safe by increasing their visibility during outdoor activities. 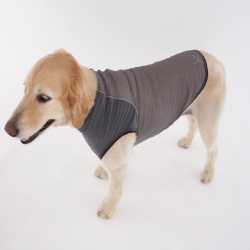 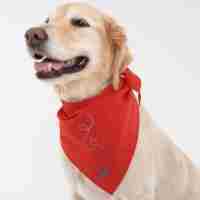 Ideal for hunting dogs, nighttime walks and exercise sessions. 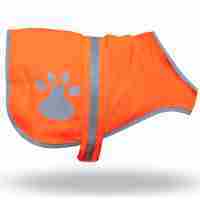 This is a durable Hunting Dog Safety Vest has an outer polyester shell and an inner nylon layer. 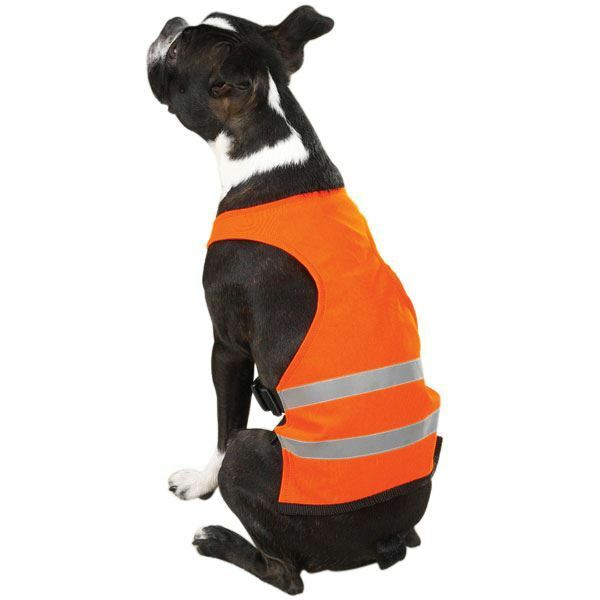 The vest features quick release cotton straps and two strips of reflective tape for added visibility and can be adjusted at the neck, chest, belly and waist for a comfortable, streamlined fit.